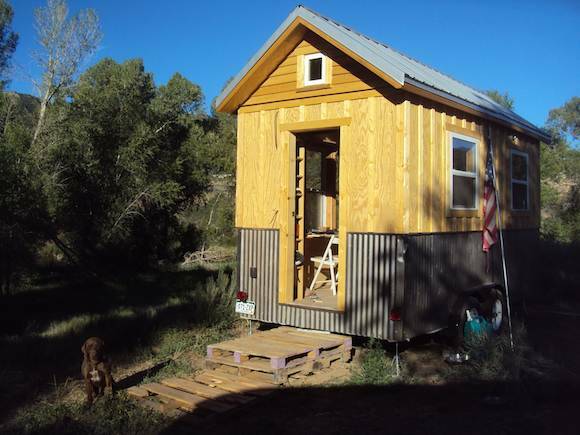 As always anytime that there's a new builder I get excited and today I'm introducing you to Rocky Mountain Tiny Houses in Durango, Colorado along with the owner/creator of the company Greg Parham. 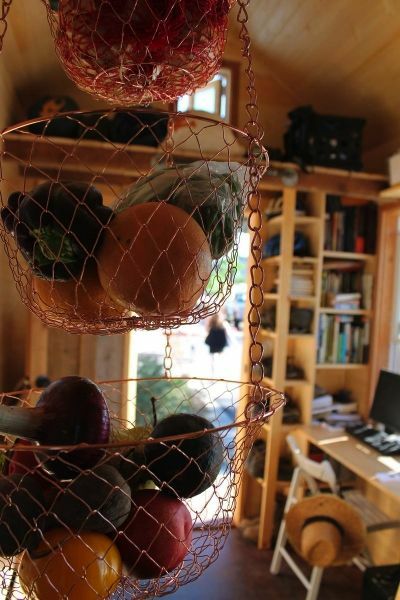 His philosophy is to keep things simple in life and now he's helping others do the same by helping them design and build their own tiny houses. 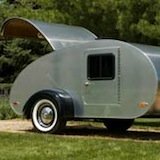 Greg is focused on offering affordable, durable and easy to tow homes that are customized to his clients needs and desires. 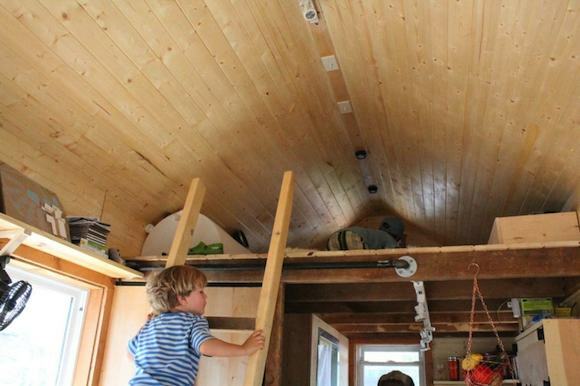 It has a wet bath, kitchen, closet, sleeping loft, and a storage loft. I'll tell you and show you more below, too. If you like the Durango design you can actually get with Greg through his website to purchase the plans and build one yourself. 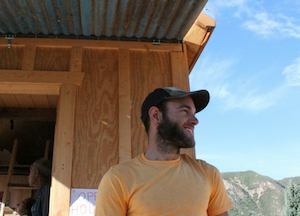 He's also working on a dozen other tiny house plans that we can all look forward to seeing sometime in the future. 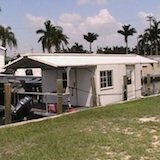 Learn more about Greg and his tiny homes over at his website. You can also "Like" and follow his company on Facebook here. 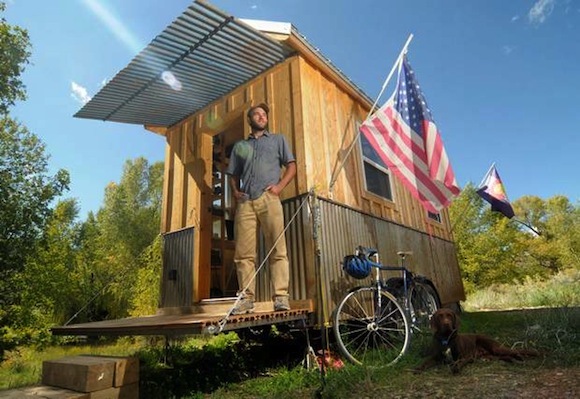 Recently he was featured in the Durango Herald alongside his badass tiny house, bicycle, and dog. With an American flag. Totally awesome if you ask me. Read that article here because there are more awesome professionally shot photos of the house there. 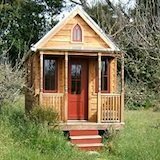 Does Greg Live in a Tiny House? 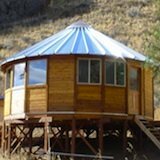 Get More Tiny House Related News, Pics, Plans 'n More in Your Email! 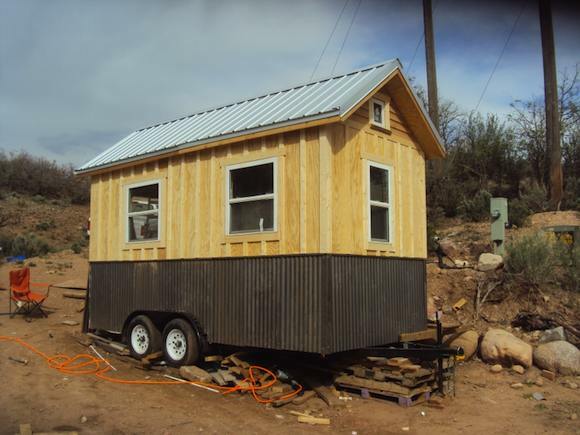 If you enjoyed the Durango house on wheels you'll love our free daily tiny house newsletter!